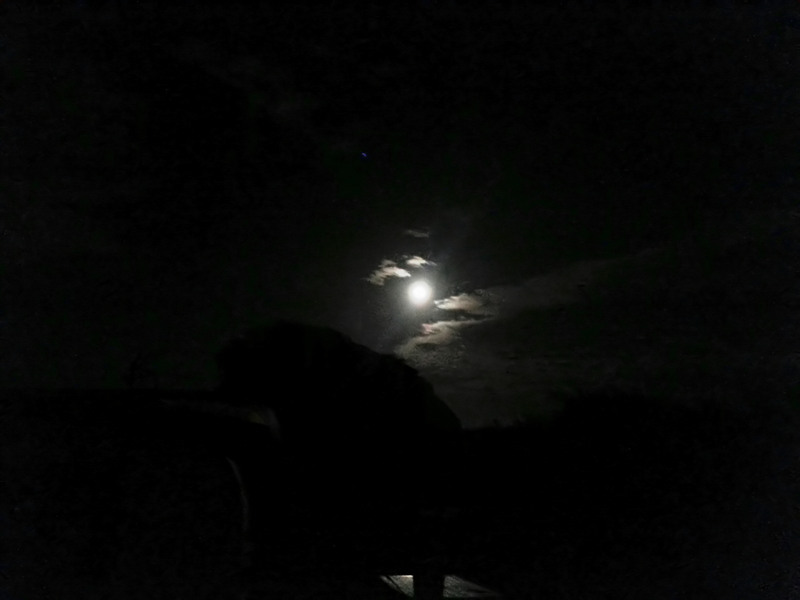 The Moon was at perigee last weekend and was super large and bright. It subtended about 0.56 degrees and was about 30% brighter than when it is at apogee and can subtend an angle as small as about 0.49 degrees. It will not be as close as this to the Earth again for about 14 months. 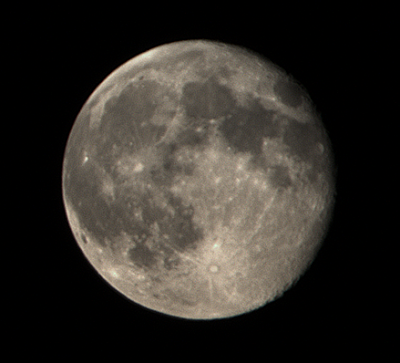 On Sunday night I recorded the Moon using an f/5, 80mm refractor, mounted on a Merlin, AZ, auto-tracking mount. 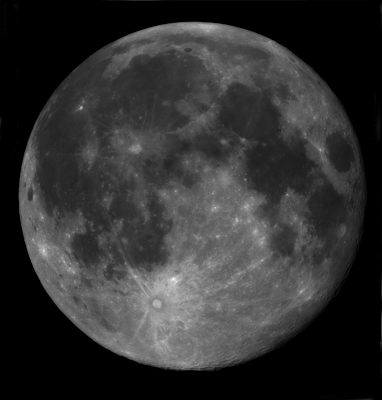 AVIs were captured of four overlapping sectors of the Moon. The AVIs were stacked in Registax and then the resulting images were combined into a single image.